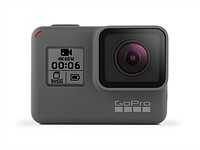 In a surprising bit of good news, GoPro's Q1 earnings report exceeded analysts' expectations thanks in part to demand for the new, entry-level GoPro HERO. And CEO Nick Woodman expects more good news in Q2. 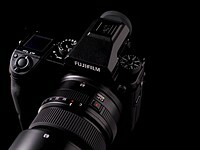 Fujifilm's Imaging Solutions division recorded a revenue of $2.77 billion and operating income of $465 million in the first three quarters of 2017. That's a 15.6% increase in year-on-year revenue and a whopping 76.1% jump in operating income over the same period last year. 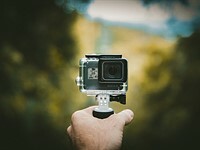 GoPro announced Q3 revenues this week, and for the first time in a very long time, the company is profitable! Between restructuring efforts and Hero6 sales, it seems the company is turning itself around. Adobe's move to a subscription model is treating it very well indeed. The company has posted record revenue for the second quarter in a row, hauling in a mind-boggling $1.84 billion. Citi Research predicts that Snapchat and Instagram are going to bring in huge revenues by 2019. They believe Instagram will hit the $10 billion mark, with smaller Snapchat earning a not-insignificant $3 billion. Sony is the world's leading mirrorless camera brand but remains third for ILCs overall, it's said in a presentation to investors. A focus on high value cameras and lenses should boost operating income, it says.